At Schweid & Sons, we have the great fortune of being able to try amazing Burgers from all over the country. Some might even go as far as to call it an unfair advantage. And in our travels, we get to meet chefs who really know how to take our ground beef to 11. A perfect example of this is Chef Ian Russo from Dirtyburger in Long Island. Chef Ian has taken the culinary world by storm with his signature Dirty® style, which is a perfect combination of sweet and spicy to tantalize the taste buds. 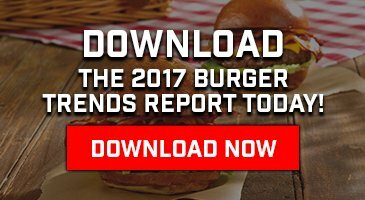 When we reached out to our friends to contribute some killer recipes for this blog, he was the first in line to send us the recipe for making a Dirtyburger®. Needless to say, we were not disappointed. So if you can’t make it out to Long Island to pick up a Dirty Double (above) or a mouthwatering Dirty Oscar (below), at least you can enjoy one at home! Season your Schweid & Sons Burgers with salt on both sides, then dip the Burger in Dirty Dust®. When Burger is fully coated, cook as you normally would. At the last 40 seconds to a minute of cooking, drizzle a quarter-size of honey on both sides of the Burger. Let the honey cook for 30 to 40 seconds. The Burger will taste like nothing you have ever experienced; the heat and sweet cancel out. Hence the flavor Dirty. Try the Burger as-is, no cheese, on your favorite bun and enjoy! Ian Russo’s cooking reflects a mixture of his culinary experiences and an impressive range of flavors and styles. He fell in love with cooking and kitchen life as a teenager, working at an IHOP in his hometown of Brooklyn, New York. Preparing himself for a career to match his passion, he graduated from New York Technical College’s School of Hotel and Restaurant Management and set off on a series of adventures in professional kitchens around the world. In a city known around the world for its cheesesteaks, Ian’s signature DIRTY Cooking® style became a culinary force on the Philadelphia food scene. There, he perfected his style and planted the seeds for what was to come, the first fully branded Dirty restaurant. 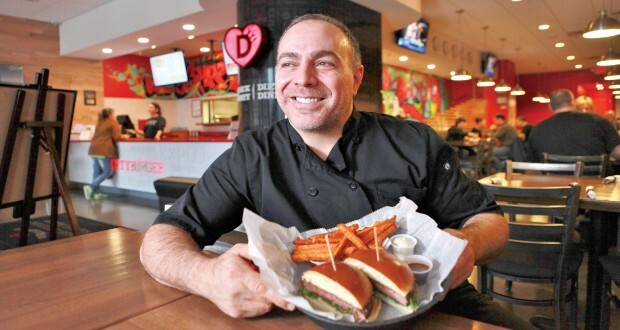 Opened in the fall of 2013 in Plainview, Dirtyburger allows the lucky residents who live on Long Island (although customers drive all the way from New Jersey) to experience Ian’s signature creations, and all of the tastes on his constantly evolving menu. It truly is the result of an ongoing journey of a lifetime.